I know I said I wouldn’t be doing any more shows – but we can all have a change of heart, can’t we? "How refreshing to watch a Gun Dog demonstration using reward based training, a clicker and treats. 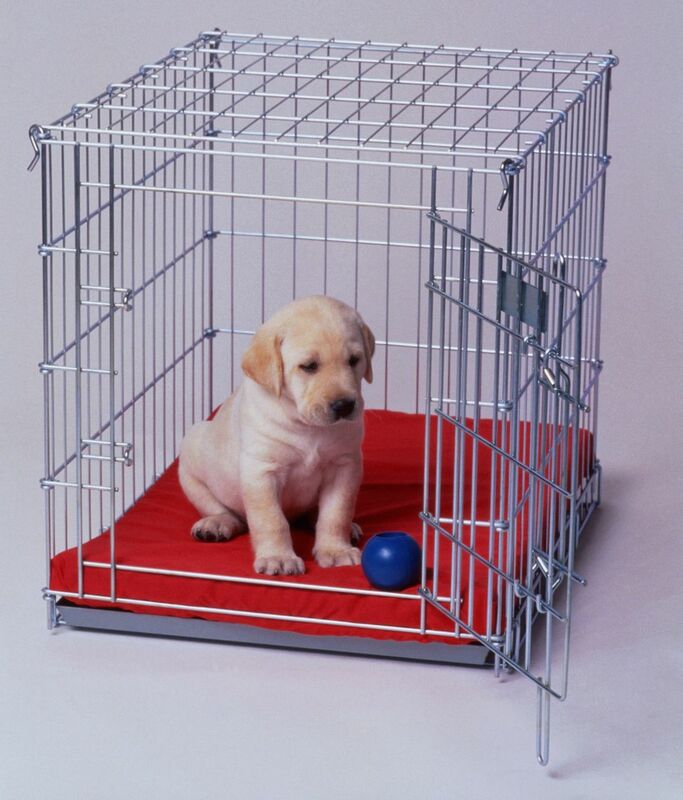 This showed how gun dogs can really enjoy not only working, they are also capable and enjoy preforming fun tricks. It was obvious to all that Stephen loves working with his dogs and his dogs relish working with him. The demonstration was full of great training tips and advise, for all dog owners and not just for Gun Dogs. I hope many of my clients were watching. I certainly learnt new things today. The high point of the Ellingham Show yesterday for both my wife and me was your demonstration. It was a delight to see the rapport you have with your dogs and their obvious enjoyment of the whole display. I suspect many of the attending dog owners watched with envy. We look forward very much to seeing you and your team at future events. "At the Ellingham Show we were delighted to watch your gundog display. Your two dogs, Poppy and Daisy, were a credit to your training regime and entertained the audience with their routines and tricks. 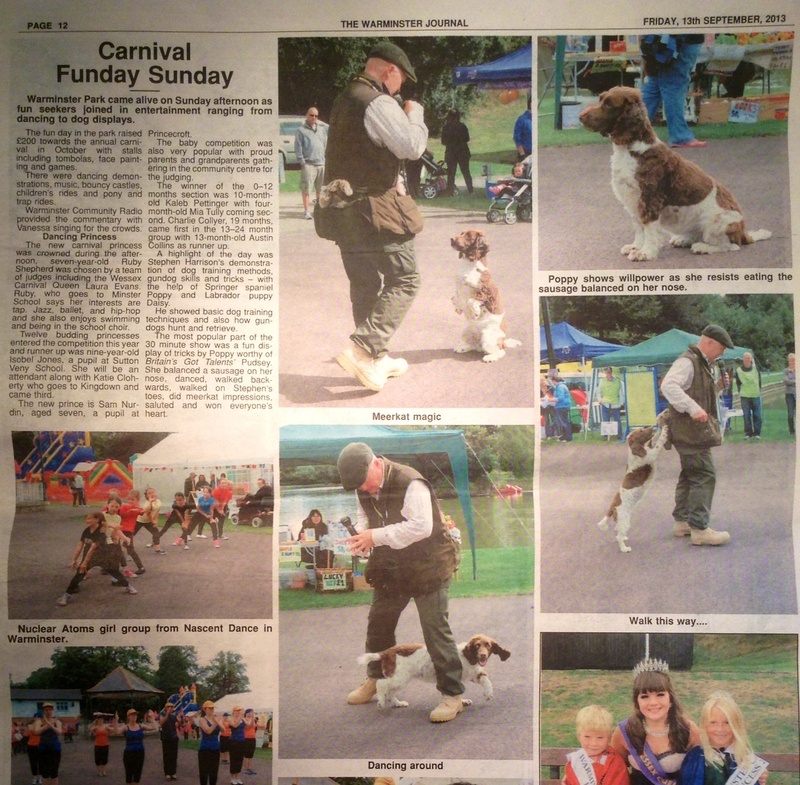 It was the best dog display that we have ever seen!" It was a great privilege to witness Poppy and Stephen's gundog training display at our Fete in Newton Tony this year showing us all how it should be done. They made it all look so easy. I can safely say that I have never seen a gundog display as good as this – ever. 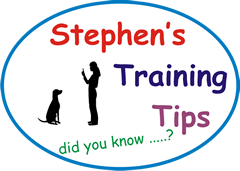 Training tips, gundog skills, tricks – it had it all, everything explained in simple terms by Stephen as he went along. You could sense local dog owners watching with total admiration yet knowing their own dog would not even get off first base. Poppy clearly knows her stuff and was quite outstanding in demonstrating her skills and showing all the results of Stephen's expert tutelage. What really stole the show was the amazing array of tricks that Stephen & Poppy perform together. It was so entertaining and breathtaking to see man and dog working in complete harmony. The audience loved it, the children in particular. It was certainly a great crowd puller. We really hope they will agree to come back next year"
Simon Hunt, Chairman of the Fete Committee. It was good to meet you this afternoon and to see your superb dog demonstration and to get advice on wayward spaniels! Good to meet you and I look forward to meeting again. Thank you so much for attending our first ever Band of Brothers and Band of Sisters summer fete. Your gun dog show was fantastic, and I am so glad that you could be a part of the day. Thank you so much for coming along to the Fete at Tedworth House. The dog display was fantastic and we have had some great feedback. I have got a large hairy golden doodle that could do with some of your magic touch!